The Shoemaking industry devoted considerable time in studying the movements of athletes during sports and developing specialized shoes for each kind of sport or athletic activity. However, such shoes are not only expensive but also not all pairs of sports shoes are multi-functional. Non-professional athletes and sportspersons have had to buy different pairs of shoes for their different activity preferences. Consequently, they either chose a day of the week to wear their tennis shoes, and another day for running, or carried different pairs of shoes along with the gear. It was clear that cross-training shoes were the answer for such regular multiple uses. Therefore, footwear industry soon added to their collection and created best cross training shoes for men and best women cross training shoes in their sneakers portfolio. Most people interested in buying cross-training shoes would look for price, looks, and brand name for the durability of the product. Heel cushioning as needed for running. In addition, they may have flexibility built into them with rubber in areas around sides and toes. Such shoes are good for running. Likewise, leather type of material not only offers flexibility but also attractive appearance making such sneakers good enough for casual wear. Other factors to be considered include breathability, traction, drop and durability. Therefore, the purposes for which the shoes would be used for needs to be borne in mind while purchasing such shoes as versatility is again confined as per features included in the pair. Note that shoes for soccer require cleats and they are invariably special shoes offering better grip on grass due to the special design. Men use cross training shoes for cycling, tennis, weight lifting, basketball, volleyball, running, badminton, high jump, long jump, workouts, and hurdles, though the list of such usage is not exhaustive. Here are some of the best cross training shoes for men that are available in the market. Nike is one of the best shoe brands around. 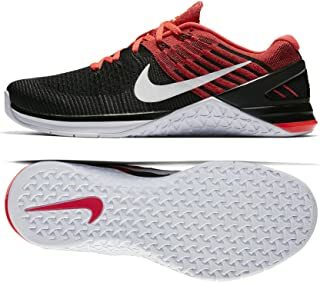 Metcon 4’s features include smaller offset/drop i.e., the difference in heel height and toe height, large solid almost flat outsoles protecting the forefoot and midfoot, and heel clips made from hard thermoplastic polyurethane which is a material known for its elastic properties apart from being abrasion and grease resistant. The upper part of this shoe has mesh and TPU to ensure breathability. The lateral and medial extended outsole offers considerable stability. 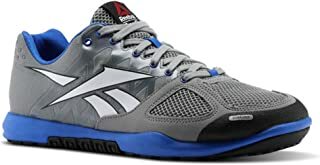 These shoes cost anything from $130 up depending on where you purchase and can be used for weight lifting, gym focused exercises, volleyball, jumping, running, and rowing. Metcon DSX “Flyknit 2” costs about $150 and offers more versatility in motion because of sock fit at its ankle. Reebok is another well-known sports footwear manufacturer. Its Fast Flexweave is made from snugly fitting breathable fabric. Its visual appearance is extremely striking. The shoes are light, and comfortable, with arch support. It is available for $120. Though it does offer some flexibility, it is not the best in the category for activities involving running and jumping. Effectively, it is best suited for gym activities, and walking. Cleaning it can also be an issue. Its toe box is narrow so it is not suitable for everybody especially those with wide forefeet. When compared to Reebok’s Fast Fexweave, this sneaker is not as attractive to look at. But it ranks on par with it as far as comfort, fitting, and breathability is concerned. This pair of shoes, however, comes with a stiff heel, along with a solid and flat platform. The shoe also has arch support though it lacks ankle support. It offers traction, flexibility, and versatility making it suitable for weight lifting, though it does have a problem with stability. It also has lateral stability issue making it not the best option for heavy squatting. Heel tends to wear off faster, and it also has a narrow shape. This cross-training shoe costs approximately $120 as of now depending on where you purchase. This sneaker from Adidas is primarily designed for running practice. Therefore, it is comfortable, snugly fitting, breathable, and has decent impact protection at heel, midsole and fore sole. Its platform is wide. It looks trendy but the arch support is inadequate. Likewise, cushioning at midsole is also inadequate. 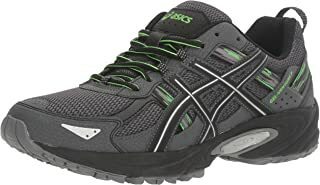 cross-training activities shoes can be expensive and this one a good one and at a lower price. This cross-training shoe is made from Kevlar which is a synthetic fiber known for its heat resistance, and strength. This shoe is more flexible when compared to its predecessor Nano 7. It has a lining of Flex Weave, which feels almost like socks. There is cushioning at midsole. The sole of this shoe is equipped with RopePro technology making it suitable for climbing ropes. The shoe offers breathability and decent protection with considerable durability, but the drop is a suspect. It can be bought for approximately $78. 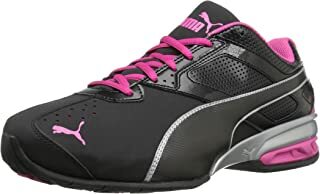 This shoe range from Puma has been known to be best for snug fit gym shoe, that can be used as casual wear as well, though it is a cross training shoe. Pumaowes its sturdiness to synthetic leather. It is comfortable because it has a decent amount of padding inside. The shoes fails however on breathability as well as flexibility making it unsuitable for running. It is also unsuitable for high impact activities. It is more suitable for strength training at basic levels, gym, and other shift work. Considering that it is available for $52, its functionality seems reasonable. The best cross training shoes differ from person to person as some may be into weight lifting while others may prefer rope climbing or tennis. Ideally, such shoes should also be good enough for casual wear and be both durable as well as affordable. Luckily, sports goods manufacturers offer such products and men can find a pair of sneakers that meet their requirements, and for types within their budget but also offer comfort and stability. You can check any of the above shoes by visiting here or any other place of your choice. 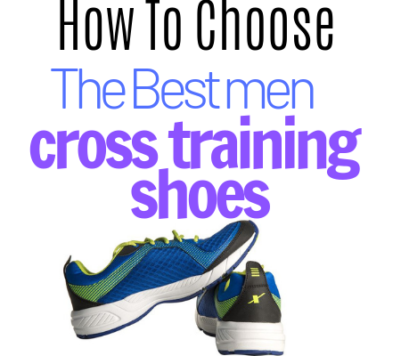 Finding the right cross-training shoes should not be hard if you know what you`re looking for. Just be sure to buy quality instead of quantity when purchasing. Glad you found the post helpful. You`re not the only one, sometimes people make mistakes and buy sprinting shoes or tennis court shoes mistaking them to be cross-training shoes that`s why I decided to share the knowledge and point out the difference. Hello , I must commend you for taking your time to write out this informative article, I absolutely love the write up. 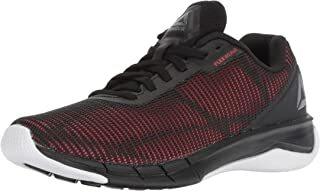 My partner is a fan of Reebok, I would prefer Reebok’s Fast Flexweave as his choice, love the design, and the colour.the price is pocket friendly . I will bookmark this page and order for this soon. Thanks for stopping by, glad you found the post useful. choosing cross-training shoes can be confusing so I thought it`s only fair to share my knowledge.